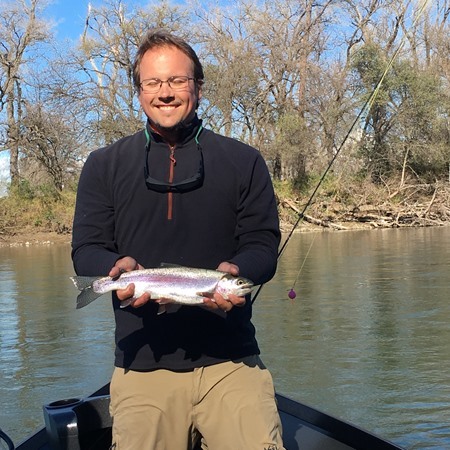 Helped guide a 5-boat trip with Project Healing Waters on the Lower Sac yesterday. Despite never fishing before Jessica & Shawn were fast learners and got into several hard fighting fish! The AM grab was a bit sluggish, but after lunch the action was consistent. Shawn with his first fish! I got out of the office and fished the Lower Sac for about an hour today around lunchtime. There was a good hatch of tan caddis size 14 coming off and the fish were rising eagerly. I rose about a dozen fish and landed several. Nothing over 12", but it was a lot of fun. It's good to see our hatches coming back after the big scouring floods we had last year! 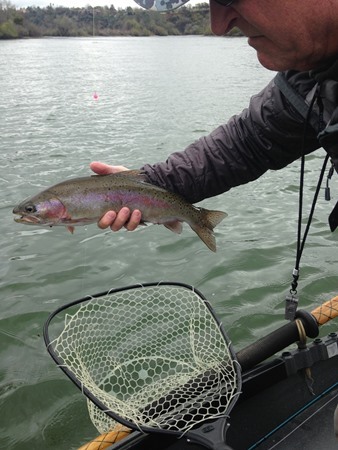 The Cal-Shingle group had their work cut out for them with the wind+rain at EC but some fish were still caught. We tried all kinds of different flies -micro mays+midges fooled a few. 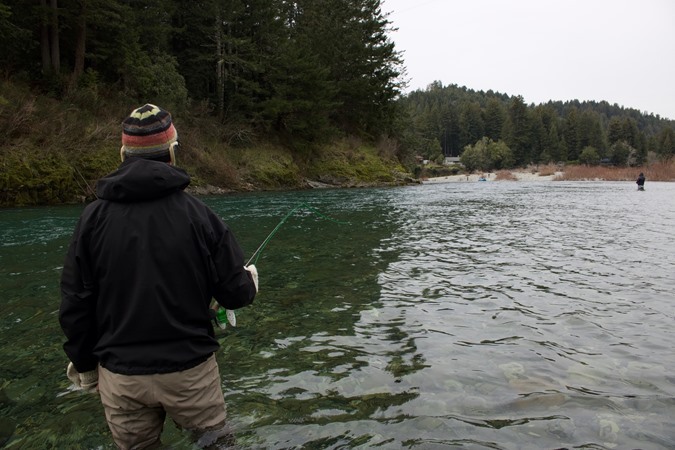 I spent the last two days fishing with fellow Confluence Outfitters guide Drew Griffith on the North Coast. 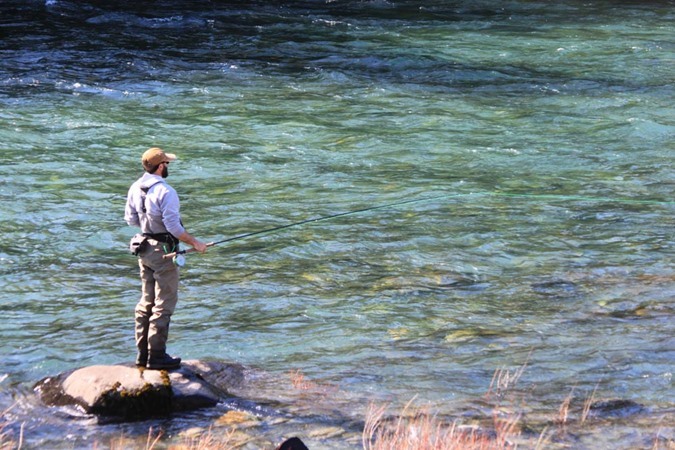 We fished a couple of North Coast fisheries, including a day on the Smith River. Always beautiful and always challenging. We saw fish on the Smith, but did not hook fish. 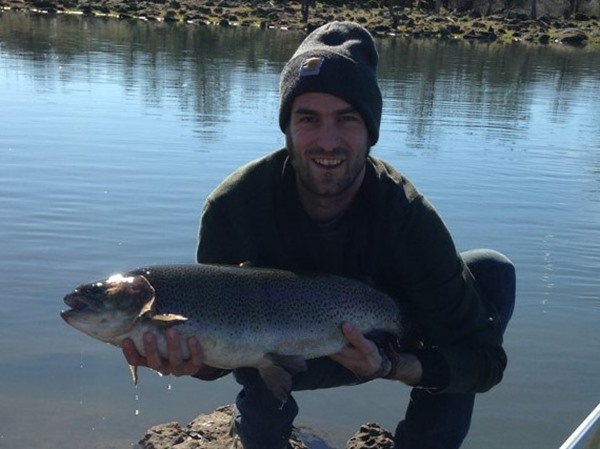 I hooked a nice sized fish on our 2nd day, but sadly it was a brief encounter. 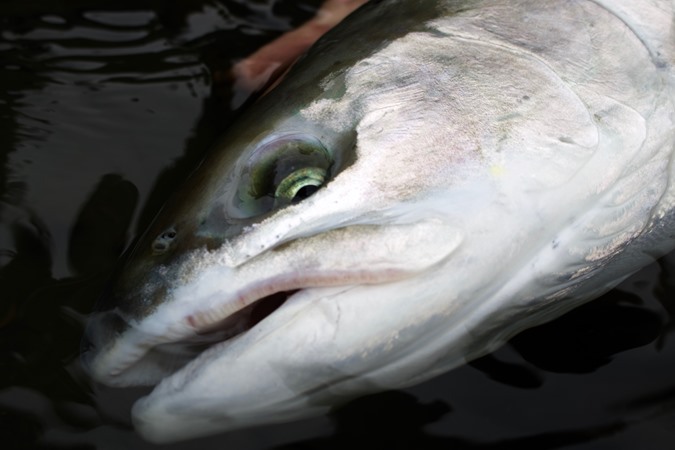 The coastal fisheries are about to blow out with this incoming storm and will probably be done for the rest of the season. All but the Smith River close at the end of March. The Smith is open through April. Guided Raffi + Brian today on the lower Sac. The AM grab was a bit on the slow side, but the action was nonstop after lunch. Another double digit day! The Sac fished very well for Lloyd and Lee today! Lee landed a really nice male that was likely 21-22 inches, but dropped it as we were taking her picture. 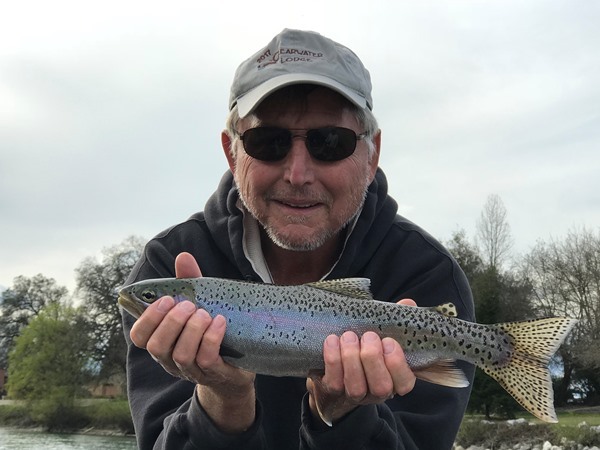 Lloyd landed several nice fish, and they both hooked and landed a LOT of fish in the 12-14 inch range. 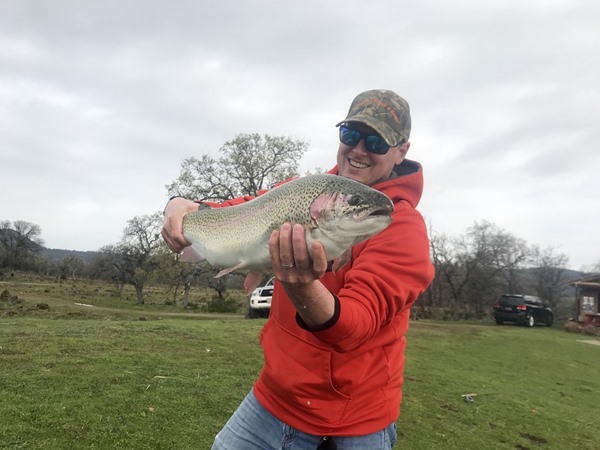 They had multiple doubl hook-ups which made for a really fun day!. Caddis pupas and PMD nymphs continue to produce the best. 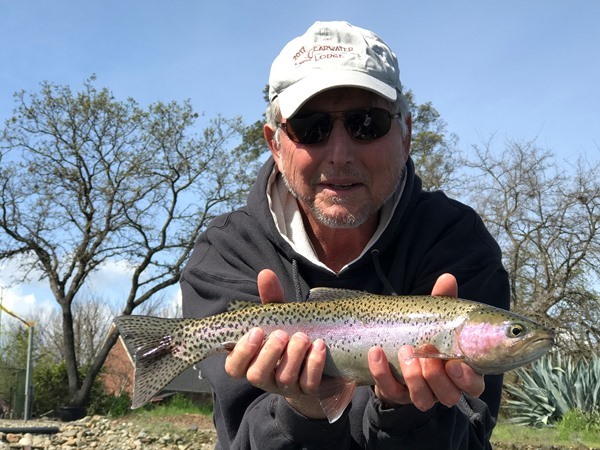 Northern California: Mar 18, 2018, by Mike: Springers!!!! 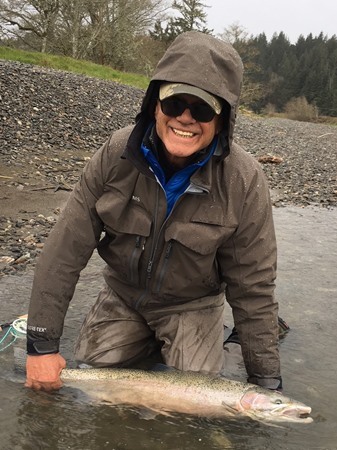 Spent a great day chasing steelhead on the Feather before the recent rains. 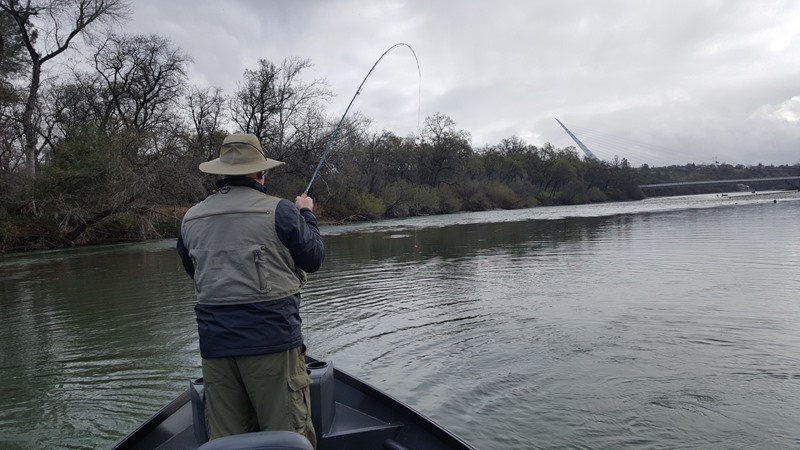 Took my friend Ray and my son JT through the low flow section of the Feather River last Sunday and we had a blast. 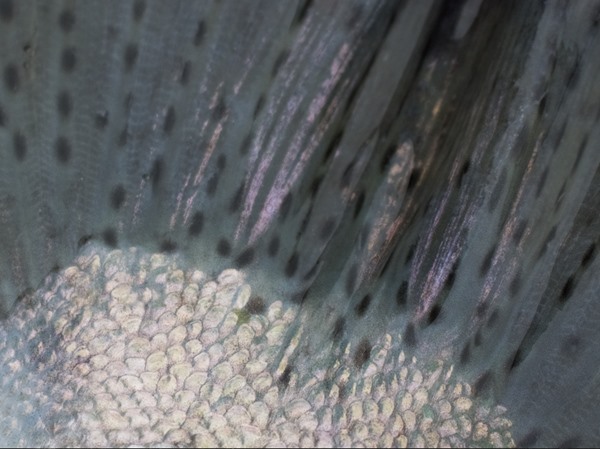 There were bright half pounders and adult steelhead throughout the river and they were ready to eat. 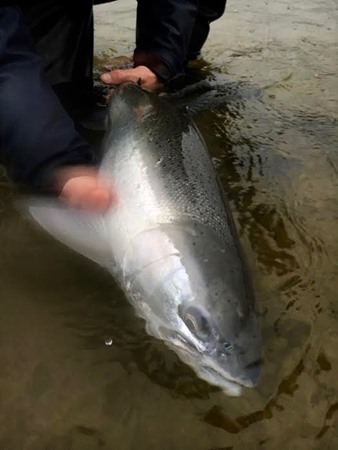 The grab was consistent all day and the fish were strong and fiesty. I can only imagine that a little fresh water from this storm will make the fishing even better soon. Good time of year to hit the Feather. Ray breaking in his new Fly Rod! My guide does good work! 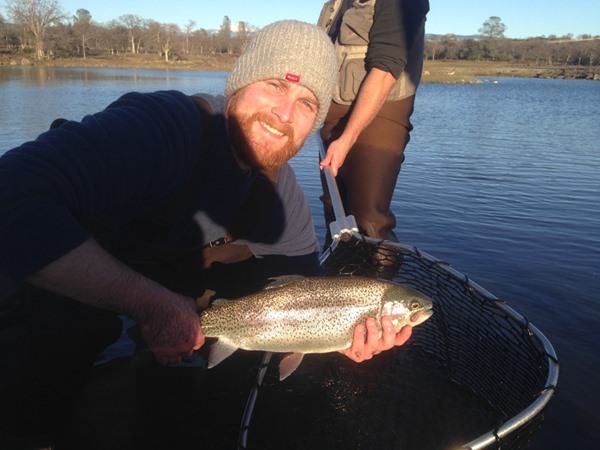 The Sac is fishing really well now, which means Mark and Loren had an epic day today! 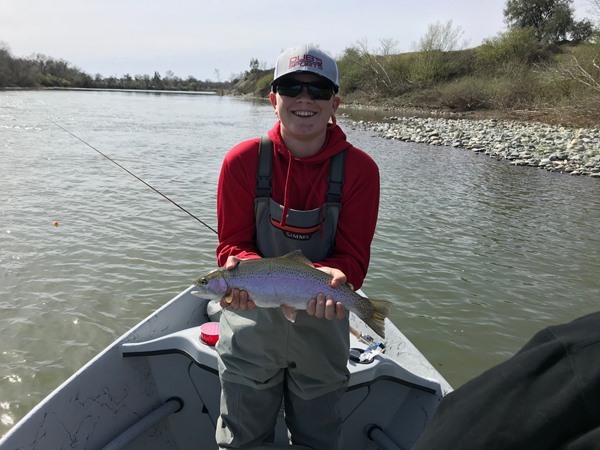 This was their first time fishing the Sac and they quickly learned landing big strong fish is not easy. I actually lost count of how many fish they hooked today and there were a few times they were doubled-up. The grab was on all day with PMD and caddis nymphs being the most productive. My spring calendar is filling fast and the sucker spawn is right around the corner! 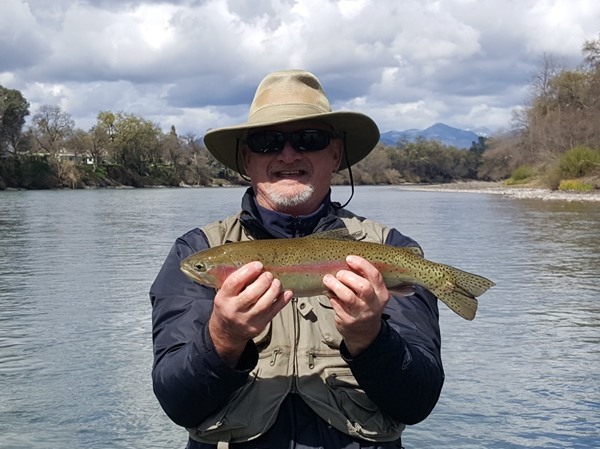 We guided a large group from the Tri-Valley Fly Fishers today. Our day started out really good, then things slowed down a bit for us mid-day. Chas and Ron stuck with it and everything came togehter the last two hours! Typical spring weather, showers then sun, then more showers. Two left-handed guys both named Martin on the same boat sounds like trouble but we had a phenomenal day on lower Sac from start to finish. I honestly lost track of how many fish were landed but it was well in the double digits. 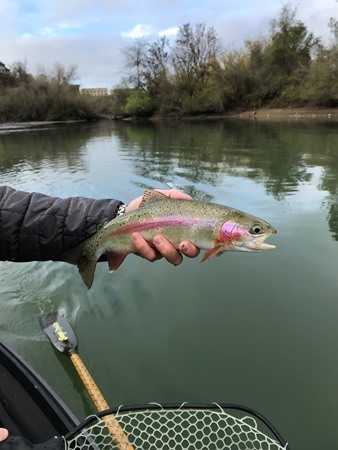 The Sac is fishing really good right now- rubberlegs, micro-mays & prince nymphs has been a good rig lately. I spent the afternoon stocking a bunch of huge fish at Eagle Canyon today. 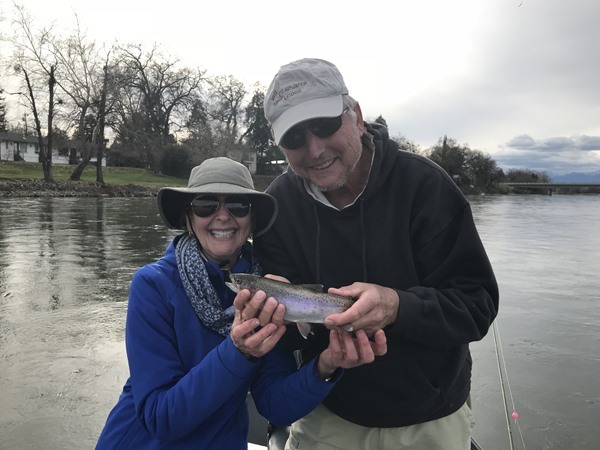 We have never had more fish or more big fish in the lakes than we have this year.The view of Mt Lassen was outstanding today. There is a fresh coat of snow all the way down to about 5000ft. Our guest Ben from Chester forwarded this photo from his day at Eagle Canyon today. Nice fish! 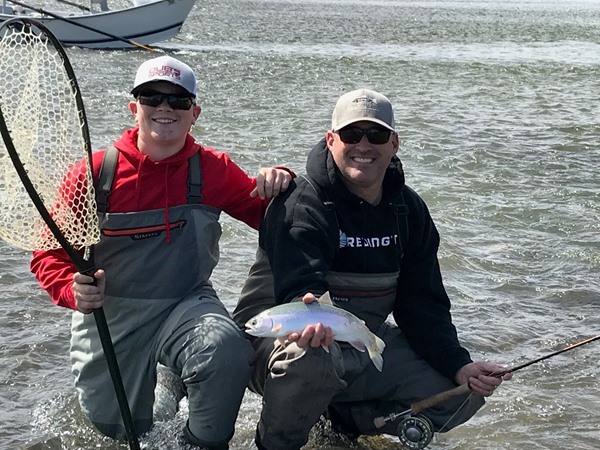 Rick and George traveled from southern California to fish the Sac for the first time. They struggled with the subtle takes at first, but both hooked into several fish. 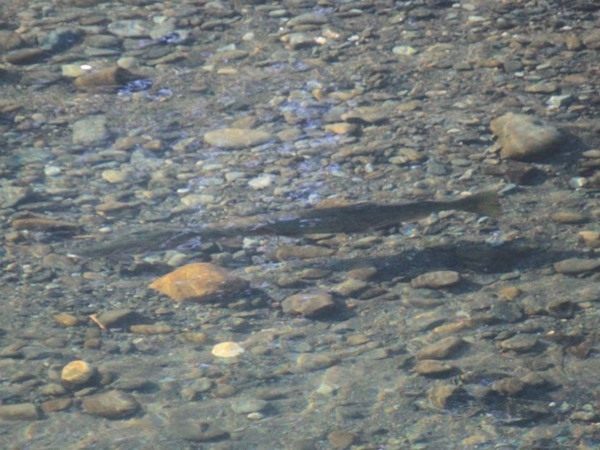 Trout are still feeding on the surface in the early afternoon. We have some rain headed our way this coming week - typical for spring time. It's looking like we are going to have a really good spring on the Sac! 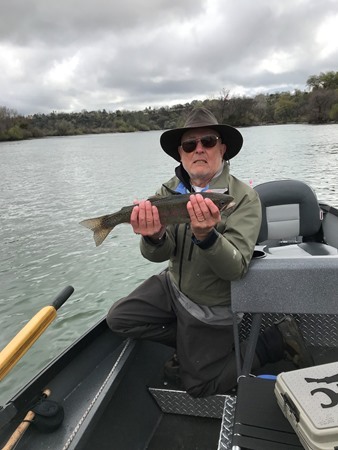 I had an excellent day on the Lower Sac today with Bruce and Rick from the Diablo Valley Fly Fishers Club. 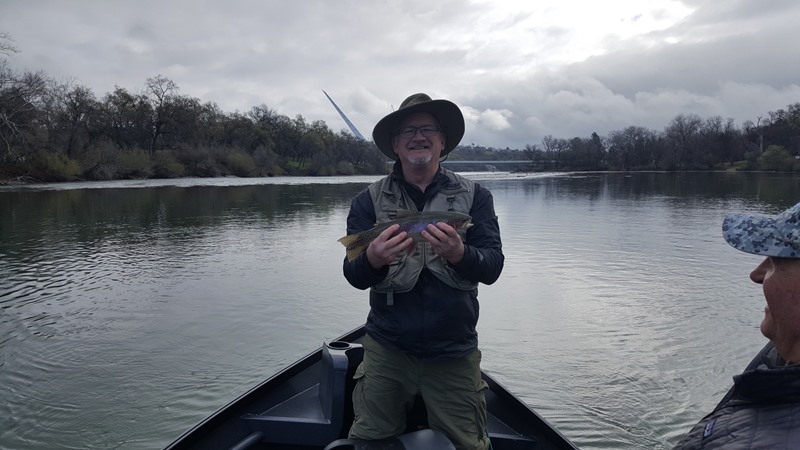 We fished near Red Bluff and had 10 miles of the river totally to ourselves. Nymphing was pretty productive in the morning. 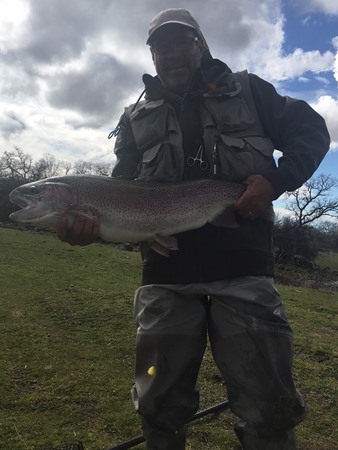 Bruce even landed a 16" rainbow on his first drift. 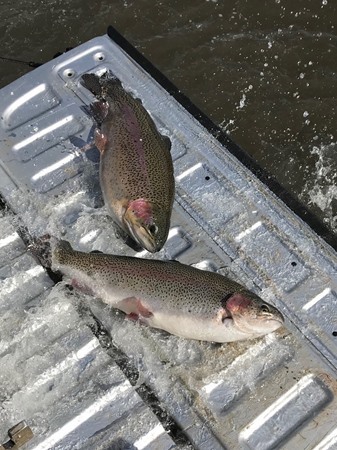 As they day went on we had lots of nymph hookups, a couple of double hookups, and landed fish up to 17". 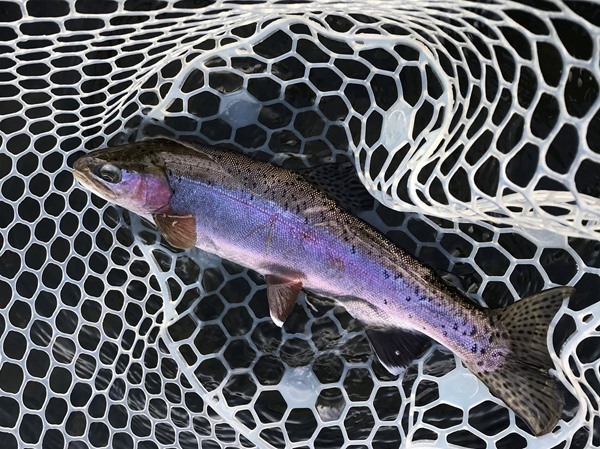 The afternoon was the highlight though with excellent dry fly fishing for rainbows from 8 to 14". 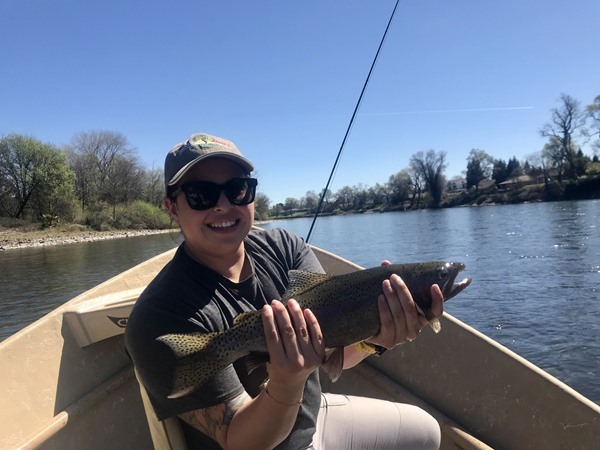 There was a mixed hatch of PMDs and march browns and the fish were rising freely. 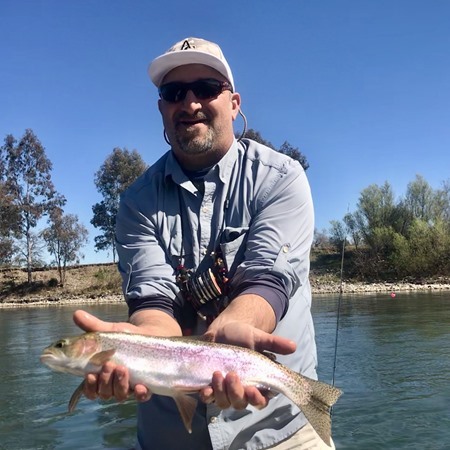 It's rare to be able to drift and fish dry flies on the Lower Sac. Usually you can do it here and there, maybe two good spots in a day. Today we spent the last 3 hours of the day fishing dries while on the move and had non-stop action. A rare treat! 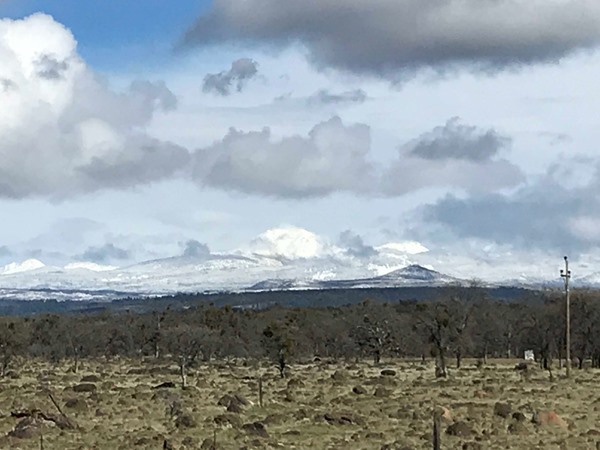 Gino forwarded this photo from today's trip in southern Oregon. Nice fish Bill! 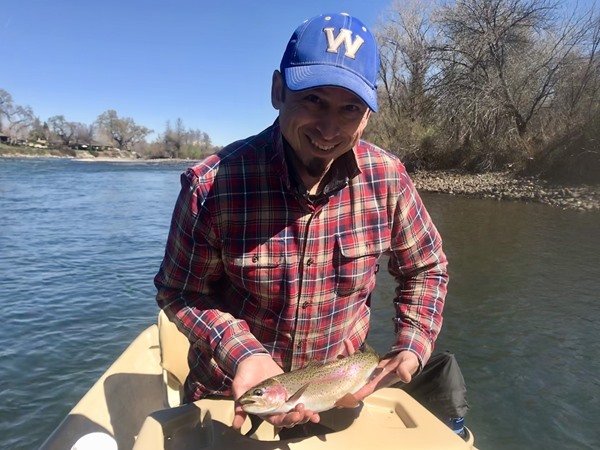 This is a guest report from Ben who fished Eagle Canyon yesterday with 3 buddies:"I had a great day fishing with our group yesterday. We did really well on the blood midge with a brass bead in the afternoon. The black midge worked on the small pond in the morning. We also got a couple stripping leaches." Winter seemed to be evading California's North Coast for most of January and February. 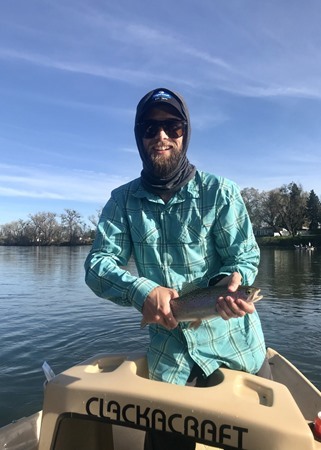 Abnormally high temperatures coupled with little to no precipitation had many of us winter steelheaders scratching our heads, wondering when or if we would have the conditions that are synonymous with the sport; cold. wet. rain. The spell seems to have finally broken. As of today all rivers on the North Coast are on the rise, and with plenty of snow in the hills and more rain forecast into next week we can expect many of our rivers to remain high and off color for the time being. 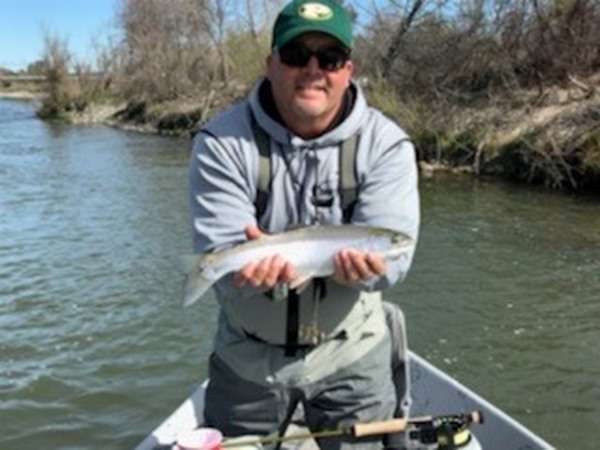 There are still plenty of fresh steelhead coming into our coastal systems mixed in with a good amount of down runners and some halfpounders. I had an epic day with a few buddies earlier this week. With the hopes that this storm system would coax some fish holding in the lower river to move up, we were rewarded for braving the storm with a few sea bright hens. Not a bad way to bring February to a close. Once we see our coastal rivers drop in and turn green it should be game on. See you on the water! A freshly minted hen came to hand in the last run of the day. A coastal native just starting to show her blush. Winter colors on the coast. I enjoyed a great mountain bike ride near the river in Red Bluff today. The trail took me down near the river a few times and I noticed the fish were absolutely chowing dry flies! There was a great mid-day blue winged olive mayfly hatch and the fish were all over it. This is a great sign since we lost a lot of our bug life last year after the huge winter flows. It was only about 50 degrees out today, so hatches should get even better with warm spring weather. I had the pleasure of guiding Don the past two days on the Sac. 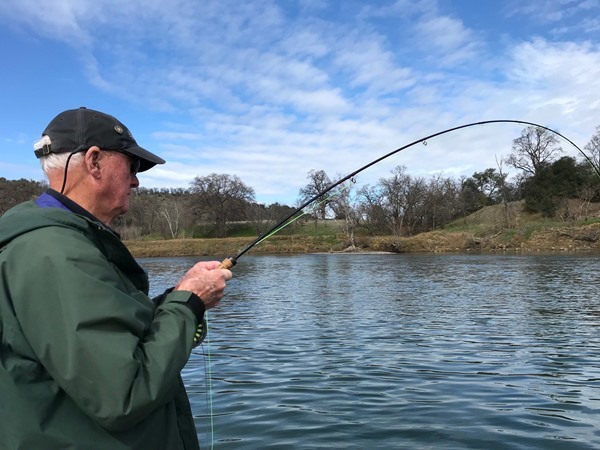 Don has been fishing for a very long time, but had never used a strike indicator, nor had he ever used a two-handed rod. Open to learning new techniques, Don asked if I could bring one of my trout spey rods so he can learn to how to cast. After some instruction, he started to get the hand of it! 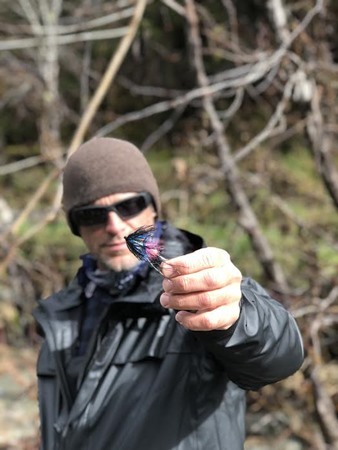 After swinging the first run, we fished an indicatorless nymph rig and immediately hooked into a couple of really nice fish. Then we tried fishing with an indicator, and he quickly learned how successful this technique is. 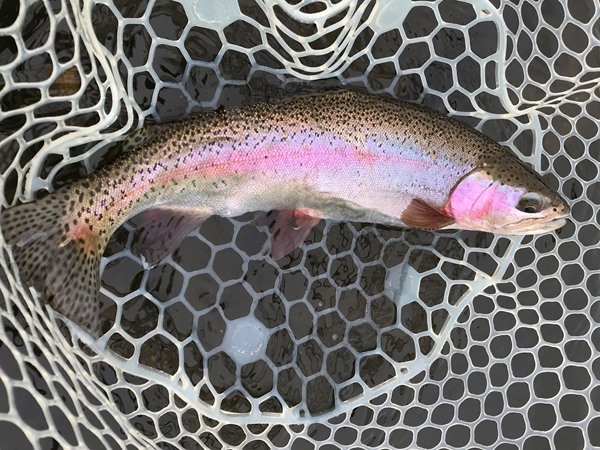 For two days, we switched-up our techniques and hooked fish with both. The best was when Don started hooking fish on the swing! Combo trips are a fun way to break the day up and break away from the norm. 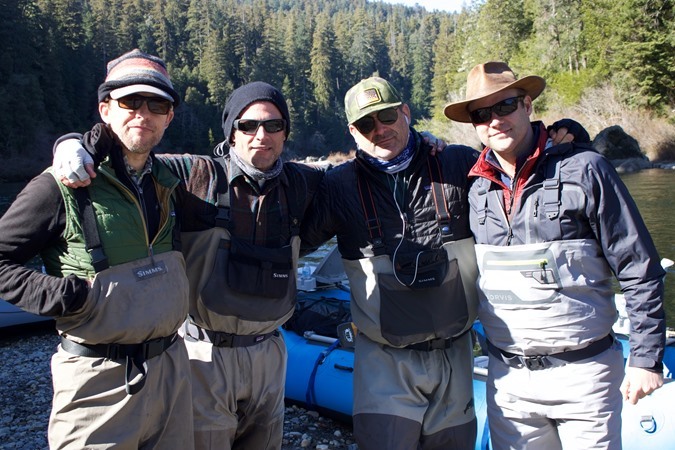 Last weekend I got on the water with Ben, Larry, Greg and Chester with fellow guide Colton Schwenning. 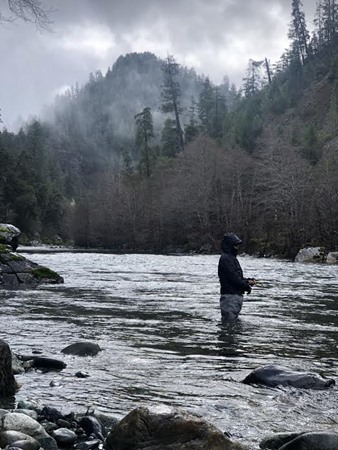 We fished hard for three days on the coast hoping to dial in a winter steelhead but we never connected with the allusive ghost of the coast. 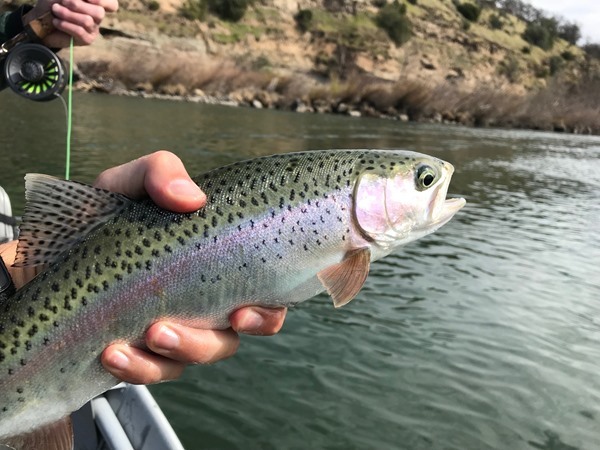 Conditions were tough with the river being low and clear, yet despite unseasonably low precipitation for Febraury we still saw a good amount of fish in the system on the two days we floated. We had some nasty weather thrown at us on our last day together with hail, snow and strong winds giving us a run for our money. In the end our guys fished hard until the last and we all had an awesome time together. Even when the river doesn't offer up a fish the beauty of the redwood coast never fails to impress. Looking ahead into the waining days of Febraury and into March we have several wet weather days forecast. We've finally had a taste of winter, with snow falling as low as 400 ft on the coast and nighttime lows in the upper 20's. I've been seeing fresh fish come in on some of the shorter coastals in anticipation of a rise, so for anyone thinking the best of the season is past, think again. 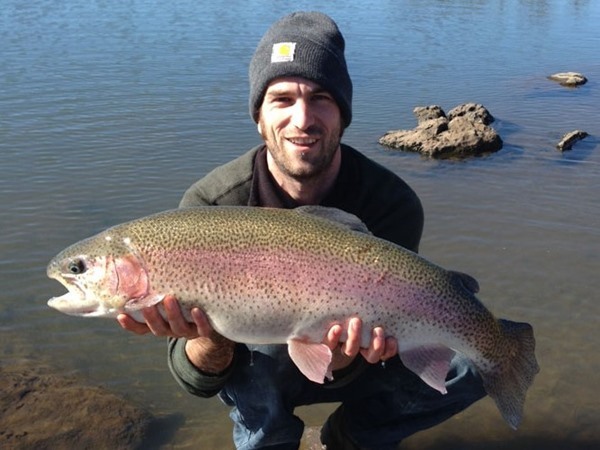 The later season offers some of the best fishing opportunities for swining up a fesh one. 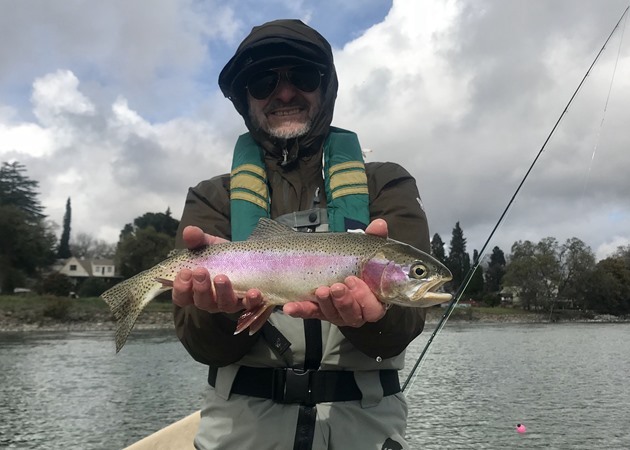 Light angling pressure and a mix of hefty adults and bluebacks (smaller chrome steelhead that run late) make for a proper finale to the winter steelhead season. 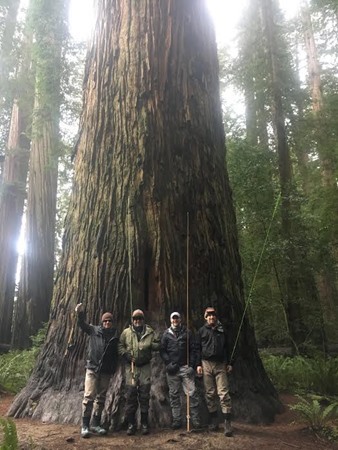 In the big trees on the coast.